Hargittai, E., & Hsieh, Y. P. (2010). Predictors and Consequences of Differentiated Social Network Site Uses. Information, Communication and Society, 13(4), 515-536. 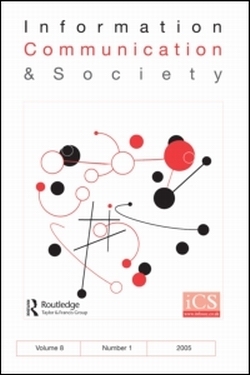 Applying a typology of social network site (SNS) usage that takes into consideration the intensity with which people use such sites, this piece offers an empirical investigation of how users’ social practices on SNSs differ and whether different levels of engagement have consequences for academic performance. We rely on a unique survey-based data set representing a diverse group of young adults to answer these questions. We find, not surprisingly, that the more intense users of such sites engage in more social activities on SNSs than those who spend less time on them and only use one such site. This finding holds in the realm of both stronger-tie activities and weaker-tie activities, that is, social practices involving one’s close friends as well as less established ties. Our analyses suggest gender differences in level of engagement with SNS social practices. Women pursue more stronger-tie activities than men, such as interacting with existing friends. In contrast, women engage in fewer weaker-tie activities than men, such as developing new relationships on such sites. However, neither SNS usage intensity nor social practices performed on these sites is systematically related to students’ academic performance, findings that challenge some previous claims to the contrary. Feel free to email me to request a PDF copy if you don’t have access to this journal via online databases. The Welfare State in the Information Age: Hollowing out or Restructuring in the Changing Labour Market in Singapore?